Starbucks has disclosed for the first time how much it pays its median employee: $12,754 a year-and 52 pounds of coffee, one for each week. The figure, included in a Jan. 25 regulatory filing, represents the compensation for an unidentified part-time barista in California, counting salary and restricted stock. Chief Executive Officer Kevin Johnson, by comparison, received $13.4 million for 2018, including a $1.46 million salary, a bonus and equity awards. The 2010 Dodd-Frank Act requires public companies like Starbucks to disclose the pay gap between rank-and-file workers and their CEOs, a measure intended to highlight income inequality in the US That topic has become a focal point in the nascent campaigns of those seeking to challenge President Donald Trump in 2020, including former Starbucks CEO Howard Schultz. Schultz, a billionaire who's touring the country to promote his autobiography and explore a White House run, has said he favors raising taxes on wealthy people like himself to make sure they "pay their fair share." 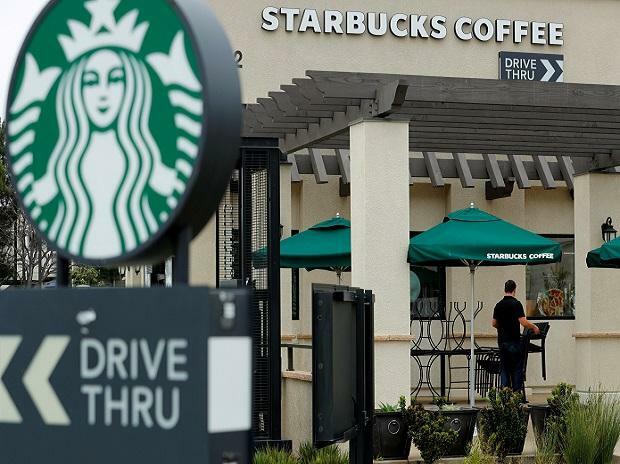 In addition to salary and stock, Starbucks offers workers benefits including health care coverage, college tuition reimbursement and paid parental leave. A large share of the firm's roughly 291,000 employees work part-time. The CEO pay ratio is calculated by dividing the CEO's compensation by the pay of the median employee, meaning half of a company's workers make more and half make less. These are the companies that have filed, including those with the median, lowest and highest CEO pay ratios.